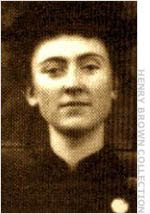 21 year old Blanche Lamont moved to San Francisco from Montana in the fall of 1894 to study teaching. She moved in with her aunt in San Francisco’s Mission District and began taking classes as a special student at the Boys’ High School. Blanche attended the Emmanuel Baptist Church near her home and she belonged to the Young People’s Christian Endeavor Society, which held weekly meetings and held a social every month. The leader of Christian Endeavor was 23 year old Theodore “Theo” Durrant. He was also the superintendent of Sunday school at the Emmanuel Baptist Church and did maintenance work in the building. Theo lived with his parents and attended Cooper Medical College, studying to be a doctor. Intelligent, hardworking and generous, Theo was highly regarded by everyone who knew him. Though at times he seemed romantically clumsy, Theo was never lacking in female company. He met Blanche Lamont at church and they began spending time together. Theo was smitten, and less than three months after they met, he gave Blanche a ring and asked her to marry him. Blanche liked Theo but thought he was joking and would not give him an answer. Later when he dimmed the gaslight and tried to kiss her she pushed him away. Blanche finally ended their relationship when she learned that Theo had been unofficially engaged to Flo Upton, another member of Emmanuel Baptist Church, when he proposed to her. At the same time, he had been going out with 21 year old Minnie Williams, a domestic servant who was also a member of the church. She had told her friends that Theo made improper advances when the two had been on a picnic, alone in an isolated spot. Though Minnie rebuffed him at the time, it was not serious enough to end their relationship. It was Theo who broke it off after he started seeing Blanche. On April 3, 1895, Theo and Blanche Lamont appeared to have reconciled. He met her at her school and the two rode together on a cable car laughing and talking intimately. They were seen by Blanche’s schoolmates and by friends of Theo. Mrs. Caroline Leak, who lived near Emmanuel Baptist, saw Theo open church door for Blanche to enter. It was the last time Blanche Lamont was seen alive. Blanche did not return home that night. Her aunt reported her missing and a frantic search began throughout San Francisco. Theo Durrant joined in the search and suggested that she might have been lured away to a Barbary Coast brothel. No one suspected that Theo, himself, might be involved in Blanche’s disappearance. On Saturday April 13, 1895, the day before Easter, members of Emmanuel Baptist were preparing the church for Sunday’s service. Someone entered the library and discovered the mutilated body of a young woman lying across the threshold of the library closet. She had been strangled and stabbed, cut on the head and face, and her wrists slashed so deeply the hands were almost separated from the body. Cloth torn from her undergarments had been shoved down her throat with a sharp stick. When policed examined the body, they determined she had also been raped. At first she was assumed to be Blanche Lamont, but a church member identified her as Minnie Williams. When the police learned of Minnie's connection to Theo Durrant, he became their prime suspect in Minnie's murder and Blanche's disappearance. A thorough search of the building revealed another corpse in the church belfry. In contrast to Minnie's clothed but mangled body, this one was stark naked with hands folded across her chest, so white and serene she looked like a marble statue. It was Blanche Lamont, she had been strangled and probably raped, then posed by her killer. The same day. Blanche’s aunt received a strange package by mail. Inside, wrapped in newspaper, were three rings that she recognized as belonging to Blanche. Police showed the rings to pawn shop dealers, one of whom had seen them before. A man fitting Theo Durrant's description had tried to pawn them. At the time, Theo was on maneuvers with the Signal Corps of the California National Guard. Police arrested him and brought him back to San Francisco. He went peacefully, but strongly declared his innocence. Theo Durrant was charged with both murders, but Blanch Lamont's case was tried first. She was the first to be murdered and was closely linked to Theo on the day of her disappearance. 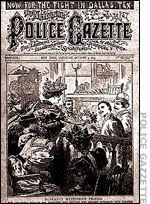 Like many sensational murders in the 1890's, the Durrant case was dubbed "The Crime of the Century," and the people of San Francisco took it to heart. The courtroom was filled to capacity throughout the trial. Women especially flocked to the courtroom for a glimpse of the handsome young killer. One young woman was nicknamed the "Sweet Pea Girl" because every morning she brought Theo a bouquet of sweet peas. He sometimes wore one in his lapel. The prosecution included police and medical testimony as well as a parade of eyewitnesses who had seen Theo and Blanche together that day. For the duration of the trial, Blanche's torn dress was displayed on a dressmaker's dummy - an eerie presence, as if the dead girl herself were listening to the testimony. The defense was haphazard, pointing out the circumstantial nature of the evidence and implying that the murder could have just as easily been done by someone else at the church, even pastor. Rev. 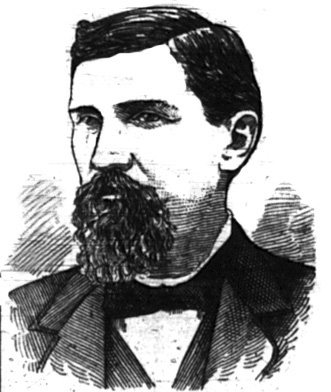 J. George Gibson. But it was Theo's testimony that probably clinched the verdict. He parsed his sentences carefully and complained often of being misquoted, but ultimately his testimony was contradictory and misleading. The jury began their deliberation by taking two votes, both were unanimous - guilty of murder, to be punished by hanging. They were done in five minutes but thought it was too soon to return so they finished their cigars first. Theo Durrant was to be hung on February 1896 but the appeals process kept him alive for nearly two more years. On January 7, 1898 he climbed the scaffold. Theo was given the opportunity to speak and he began a longwinded ramble declaring his innocence. He showed no sign of stopping, but when he paused in his speech, the executioner took the opportunity to spring the trap. The Demon of the Belfry was dead. McConnell, Virginia A. Sympathy for the Devil: The Emmanuel Baptist Murders of Old San Francisco . Lincoln: University of Nebraska, 2005. 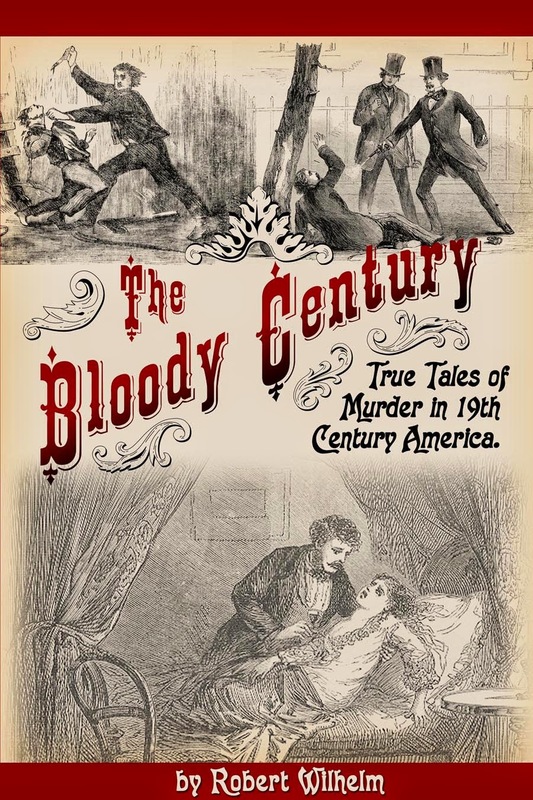 Adams, Charles F. Murder By the Bay: Historic Homicide In and About the City of San Francisco . New York: Quill Driver Books/Word Dancer, 2004. A fairly interesting book on this case (though incredibly long-winded) is "The Bell Tower: The Case of Jack the Ripper Finally Solved," by Robert Graysmith (of "Zodiac" fame). He presents evidence that not only was Durrant not responsible for Blanche and Minnie's murders, but it was Rev. Gibson instead who committed the crimes--and Rev. 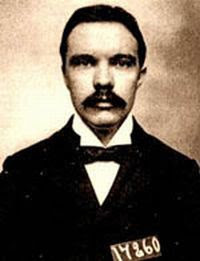 Gibson who was responsible for the Whitechapel murders of Jack the Ripper. The book is long and perhaps his theory is a stretch, but it is certainly an interesting read (or at least skim-through). 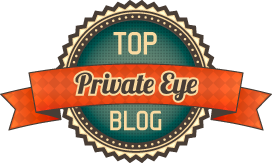 Trixie, glad you like the blog! I'll definitely check out _The Bell Tower_. I never heard that Rev. Gibson was suspected of being Jack the Ripper; I have trouble imagining him killing Blanche and Minnie. But stranger things have happened. I read the Bell Tower by Graysmith and found it very interesting. The links to Jack the Ripper are very weak (I think the book would have been better without them) but he does make a compelling case for Durrant's innocence and the guilt of Gibson and Wolfe. There was another female victim few note as she was not physically killed or mutilated. In 1918 the far right in Britain had a field day in the trial that centered on dancer Maude Allen. Ms Allen was playing the title role in the first British production of "Salome" by Oscar Wilde, and these idiots had been preventing the production from getting anywhere. Sued by the producer and Ms Allen, they made a mockery of the trial, basically by bringing their supporters into court to hoot down the prosecution, and by spreading an outlandish theory that the German Empire (this is during World War I) was corrupting the British establishment through homosexuality and lesbianism. A veritable "Who's Who" of political, economic, and social figures were listed in a book that was passed around as being contaminated in the plot. One of the defendants was Lord Alfred Douglas, now renouncing his former homosexuality and relationship with Wilde as being evil. Ms Allen had to go on the stand, and when cross-examined had to admit that she was the sister of Theo Durrant. Despite the efforts of the judge, Lord Darling, the case was a farce, and the jury acquitted the right wingers! Ms Allen decided to retire from the stage, her career effectively ended by the trial and the revelation of just who her brother was.